Our cleaning services ensures that your visitors, customers, partners, prospects and employees always experience an immaculately clean environment – whatever its size and location. Our office, factory, school, public areas, retail, hotels, health and leisure cleaning covers all the required cleaning task elements such as mechanical cleaning, dual mopping, sweeping and vacuuming and dusting and sanitising all areas throughout your premises. 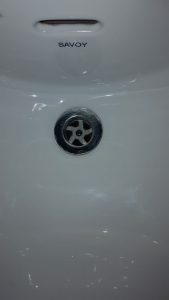 We will work closely with you to develop a bespoke service that meets your commercial cleaning needs. Contracts can be extremely flexible, giving you frequency choices for different tasks such as a daily, weekly, monthly, quarterly biannual and annual frequencies or ad hoc cleaning services with variable timings and options for “deep cleans” if required. Our cleaning teams receive full inductions and task training from their experienced supervisory and management mentors. As part of the recruitment process we look for friendly, motivated and communicative people that can be developed and trained to providing you with a high quality effective service. ECS is innovative in the way we approach office cleaning. You can rest assured with peace of mind whether you are responsible for a large office block or a business with multiple satellite offices you can be sure that all your cleaning needs are carried out by a dedicated professional and experienced team looking to work in partnership with you. Whatever your business we are here to help and have the flexibility to suit your requirements. 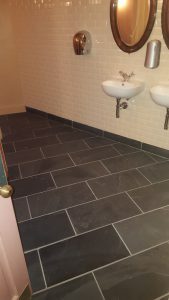 We can carry out the cleaning service when you need your facility to be cleaned which could be to fit in with your business shift patterns, opening hours or at evening/night time. ECS are available to clean anytime 24 hours a day 365 days a year with reliable and professional task and COSHH trained staff. We understand that an environmentally clean office creates the right impression and can also impact on a number of other factors connected to the workplace which can encourage productivity, so your staff feel more motivated to work. We have a large number of retail contracts across the UK covering the North, Midlands, South East & South West and Wales. With our highly skilled team of area managers every retail contract receives high profile management support no matter how large or how small. Our approach values all our customers with the same high-quality care and support. Our retail clients rely on their customers coming through their doors and providing the best customer experience possible. ECS fully supports our retail clients by ensuring that no matter how busy the footfall every trading day their customers experience a fresh clean retail environment when entering their premises. ECS has a very reputable car showroom business where high end cars are on display to the customers including Jaguars and Range Rovers. Our showroom clients’ customers are paying anywhere in excess of £80,000 for some of these very prestigious vehicles and it is therefore vitally imperative that the cleaning standards and environment match the same high expectations of customer service and experience. 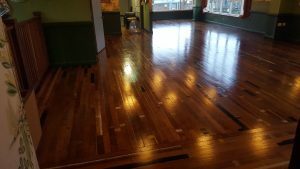 Whether it is treating wood floors, marble or terrazzo floors or vinyl floors or carpet deep cleaning our specialist teams have the equipment, training and expertise to deliver a high-quality finish which has resulted in massive organic growth in this sector of our business through commercial and domestic customers referrals. 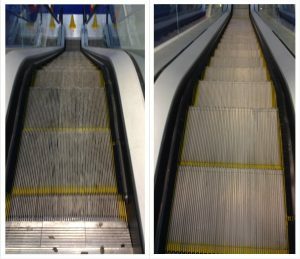 ECS currently carries out regular escalator deep cleaning for one of the largest high street retailers in the country with over 613 locations in the UK. Our success in providing such a good service has allowed us to enjoy 4 years of continued repeat business with this major customer. 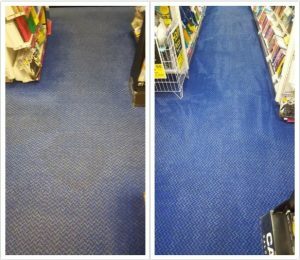 ECS provides this service across the UK for major retail customers who require periodic deep cleans which includes descaling and sanitising and a full structural clean including any floor treatments where required. 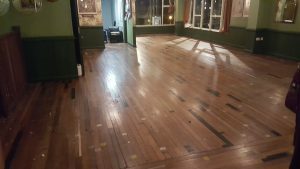 ECS currently carries out trading area deep cleans particularly where some of our major retail customers prefer this as a cost option to lift and improve the trading appearance for their customer footfall rather than the much more expensive refurbishment costs. This service can enhance and improve the longevity of your premises by ensuring that it remains fit for purpose providing a very environmentally clean and secure environment.